How long have you been managing the co-op’s spring Plant Sale? How did you get involved originally? This is my fourth year coordinating the annual spring Plant Sale. I have a background in gardening education, urban farming, and community organizing. While I had never coordinated a sale of this size prior to working at the co-op, I am forever interested in what our community is eating and jumped at the chance of finding more ways to support that. Being the co-op’s Plant Sale Coordinator has been a great learning opportunity! What can co-op shoppers find at the Plant Sale? What are some of your favorite plants available at the sale? You’ll find an array of native flowering plants, pollinator-friendly annuals and perennials, herbs, and vegetable starts. This includes an extensive collection of tomatoes, peppers, and herbs that are constantly being built upon and refined based on customer and staff feedback. My favorite plants available at the Plant Sale are the selection of fresh culinary herbs. This year, you’ll find 13 varieties of basil, 12 varieties of lavender, 15 varieties of mint, as well as shiso, patchouli, ginseng, calendula, and Mexican oregano, along with a huge variety of more common herbs like parsley, thyme, and rosemary. Where does Mississippi Market source its Plant Sale offerings? Everything is sourced locally from Glacial Ridge Growers (Glenwood, Minn.), Green Earth Growers (Prior Lake, Minn.), and Rush Creek Growers (Spring Valley, Wis.). Glacial Ridge is known for their comprehensive native plant collection, Green Earth Growers has beautiful hanging baskets and annuals, and Rush Creek offers a phenomenal collection of herbs. All of them are strongly committed to using sustainable growing practices. Everything available at the Plant Sale is grown using organic standards with a healthy selection of certified organic vegetables available. What new features or unique plants will be available during this year’s Plant Sale? Everyone is hungry for colorful plants and anxious to start gardening in early spring. This year, you’ll be able to find pansies, petunias, and other hardy flowering annuals a week and a half before the Plant Sale begins during our Early Bloomer Sale. Look for them in the West 7th store entryway beginning April 24. New this year, you’ll also find lingonberries and thornless blackberries, in addition to Meyer lemon, Makrut lime, and Black Fig trees, which make excellent potted patio plants that can be brought indoors during the winter. Have you seen the Plant Sale change and evolve from year-to-year? Yes, it continually evolves as we respond to shopper feedback and suggestions. For example, peppers are becoming increasingly popular. Last year, we brought in several new varieties from around the world, and this year will be no different. You’ll find a Piquillo pepper from Spain commonly used in making tapas; a squat, wrinkly Ají Dulce pepper from Puerto Rico, which is similar to a habañero but without the intense heat; and a pepper called Berbere used for making a spicy paste that is a key ingredient of Eritrean and Ethiopian cuisine. How can co-op shoppers learn more about different types of edible gardening during the Plant Sale? 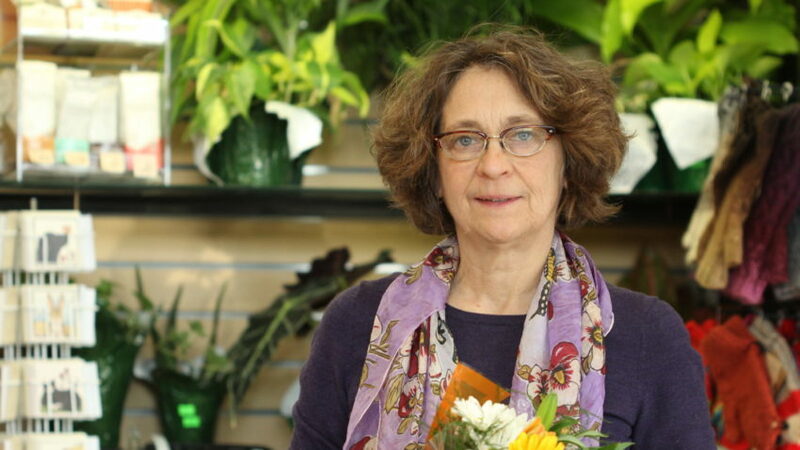 Each Saturday afternoon during the Plant Sale, Ramsey County Master Gardeners will be on hand to share their expertise on a variety of topics with co-op shoppers. Also, co-op staff member Winona Gomez will hold a special kids’ activity each Saturday during the sale related to that day’s Master Gardener topics.